We have been in a Chapter 13 bankruptcy case for three years – we are on a five year repayment plan. Our car caught on fire and the insurance company declared it to be a total loss. The company offered us $13,000. 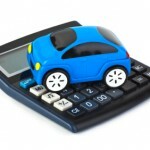 What do we need to do in order to buy a new car while in bankruptcy? I’m sorry to hear about your car. Life on a Chapter 13 bankruptcy budget is hard even when things go according to plan. When the unexpected happens, it can be very difficult to stay on track. I hope you are able to do so, and finish out your case. I will assume you didn’t owe anything on your car. If that’s the case, it’ll be easier for you. If you did owe money, you will have to pay your lender the balance due before you get any of the insurance money. The next step depends on whether you will buy a car with cash, or you need financing. If you are going to buy a car without financing, go right ahead and do it. You don’t need anyone’s permission. I assume you would buy a used car that will cost about the same as you received for the old one. But, if you have the resources to buy a brand new car, or a newer and more reliable car, I see nothing to prevent you from doing that. If you need financing to buy another car, it’s more complicated. You will need bankruptcy court approval before getting a loan, and of course, you need a willing lender. I suggest you begin by seeking court approval before you try to buy anything. It will take about one month in order for the court to process the paperwork giving you permission to get financing. A car dealer won’t hold a car for you for that long. Avoid that problem by getting permission first. whether your proposal will affect your Chapter 13 plan. In the motion, you will ask the court to make an order allowing you to proceed with the purchase and financing of a replacement vehicle based on those terms. A word of warning — be reasonable. Don’t ask the court for permission to buy a luxury car. Your chances of approval are better if you are seeking a newer model in the same class of vehicle as what your old car was. After you get the court order, you can go car shopping. Be up front with car dealers. Let them know the challenges you face regarding financing. Of course, by getting the court order first, you make things easier for everyone. Even with an ongoing bankruptcy case and bad credit, you still have leverage when negotiating with the dealer – the dealer knows that you can walk away and buy a car elsewhere. Do You Need to Modify Your Chapter 13 Plan? Do You Have to Amend Your Bankruptcy Schedules? The last consideration is whether or not you need to amend your bankruptcy schedules to disclose what happened to your old car, the receipt of the insurance proceeds, and the purchase of a new car. I reviewed the Bankruptcy and the official Bankruptcy Rules. It makes sense that you should be required to update your schedules to disclose any material change to your financial affairs. Although it would make sense that you should have to update your schedules to disclose changes in your financial affairs, I see nothing in the Bankruptcy Code and Rules that requires you to amend the bankruptcy schedules in this situation. However, old timers like me (I have been handling bankruptcy cases for 34 years) believe that when in doubt, disclosure is the best rule. You can file a simple amendment to your original schedules to disclose everything. If you like you can add a statement that you believe none of the new information is material to the legal rights of any other party, but you want to make such disclosure solely from an abundance of caution.